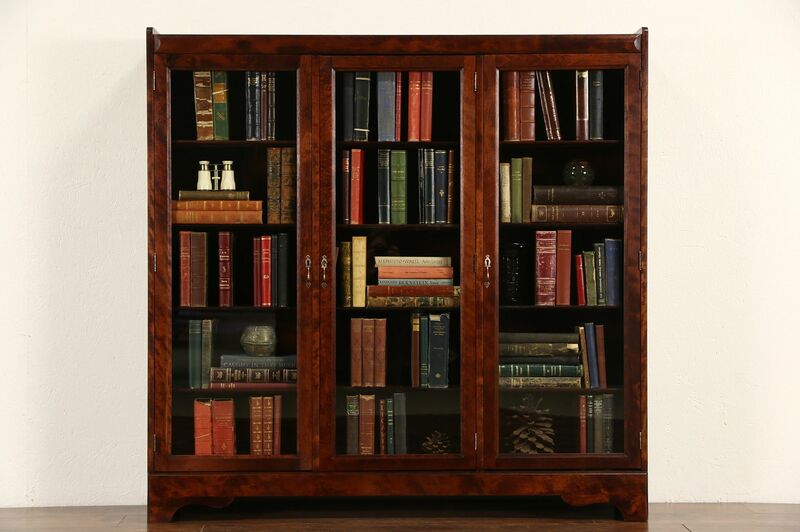 A triple library bookcase from about 1910 is signed "Revell of Chicago." The restored finish is in excellent condition on figured solid birch hardwood. Three separate banks of adjustable shelves have glass doors with working locks. Pulls are original on this American made antique library furniture. Size is 54" wide, 13" deep and 53 1/2" tall, interior shelves are 10 1/2" deep.